In 1985, Si-TECH was founded by Orlando Desilvestre. He was a pioneer in the semiconductor industry who worked in multiple companies such as M/A-COM, Unitrode, Frequency Sources (SkyWorks) and was one of the original owners of Spire Corporation. 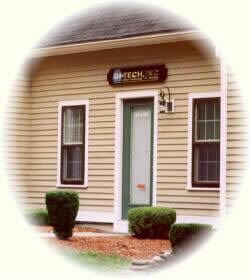 S-TECH’s primary business was to be a broker of silicon wafers for the semiconductor industry. He felt that he could help fill a void between the major manufacturers and the small corporations, research and development labs as well as universities. Si-TECH would purchase large volumes and overstock material and inventory it so that smaller corporations could purchase the smaller quantities they required. It was a win-win situation because the major manufacturers would sell in the necessary volume to turn a profit and the small firms would purchase the quantity needed instead of having to be saddled with excess material. In the 1990’s, as the industry changed and evolved, Si-TECH also changed and evolved trying to meet the needs of its customers and expand its base. The company began to offer processing services as well as Germanium and Gallium Arsenide wafers. The idea was a simple one. It was to provide the customer with one stop shopping. The customer would make one call with his/her requirements and Si-TECH would do the leg work saving the customer time, energy and multiple purchase orders. At the turn of the century, Si-TECH began to expand its products in order to become diversified and meet the demands of a larger market selling cassettes, metals, sputtering targets and other products. Si-TECH is celebrating its 30th year in business; showing the achievement and success of an idea that has grown over the years. The simple mission of Si-TECH is to fulfill the same basic ideas it was created upon. It wishes to be a one stop shop to fulfill the needs of the customers using superior products and services. In this environment of time limitations, cost cutting and savings, Si-TECH continues to be a company willing to do the time consuming leg work in order to find the products required by companies large and small. The idea of saving its customers time and energy looking for products and creating multiple purchase orders with strong customer service is the main focus and drive of the corporation today and going forward. Si-TECH, INC. usually delivers within 24 hours. In case of special need, we have delivered material within hours of receiving a purchase order. Additionally, Si-TECH, INC. is set up for and can deliver internationally within days of receipt of an order. Si-TECH, INC. supplies high quality silicon material from manufacturers such as Wafer Works, Wacker, MEMC, LG Siltron, SUMCO, ITME and CEMAT. Incoming quality control is performed on all wafers, and we guarantee our material. Any material which does not meet customer's specifications may be returned, with the exception of special orders. Si-TECH, INC. offers various wafer processing services, including ion implantation, polishing, photolithography, chemical vapor deposition (CVD & LPCVD) services on substrates up to 8"/200mm including a few 12"/300mm diameter capabilities. Si-TECH will quote on Epitaxial specifications up to 4"/100mm. Si-TECH has supplied products and services to over 500 customers which has earned us a reputation for quality material and service. Our customer base ranges from Fortune 500 companies to small research and development firms to colleges and universities. We would be pleased to provide you with immediate information on material availability and special orders. Feel free to contact us at 978.887.3550, fax us your silicon wafer requirements at 978.887.3440 or use our online form.